Public spaces have long been the object of countless studies. Yet, most of these have focused almost exclusively on the metropolitan setting, while neglecting the nature and function of public spaces in rural areas. 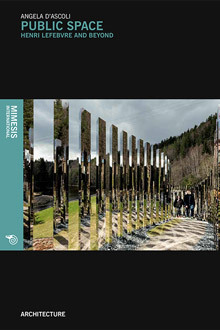 This volume addresses precisely this gap, drawing from Henri Lefebvre’s theories in order to propose an alternative vision of public spaces – one which is centered on the local rhythms of rural areas and on their peculiar complexities. Rural public spaces can present all features of a Lefebvrian abstract space, just like cities do. However, their specific ‘otherness’ allows them to offer communal and organic responses to the pressure of global challenges, in a way that is largely precluded to cities. Angela D’Ascoli is an architect and holds a Ph.D. in Philosophy and Humanities. She undertook her architectural studies at the Universities of Naples, Lille and Bologna and Copenhagen, and her philosophical research at the Universities of Urbino and Copenhagen. The issue of public space as the social space par excellence, closely studied during her stay at the Centre for Public Space Research of the Royal Danish Academy of Fine Arts of Copenhagen, has become the central topic of her current research.